The Rotacheck system is an electronic verification tool that validates the 360° impact coverage of Toftejorg rotary jet heads during operation. The visual light indication integrated into the field housing, offers a visual status feedback to operators and maintenance staff on the factory floor. 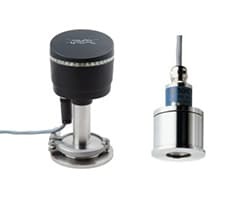 The Alfa Laval Rotacheck Sensor represents an important tool for increasing quality assurance in tank cleaning, since it provides an electronic means of validating the 360° impact coverage of the Rotary Jet Head cleaning machine. The system is approriate wherever rotary jet heads are employed in cleaning tanks and where the tank or vessel is pressurized during CIP with more than 0,3 bar.